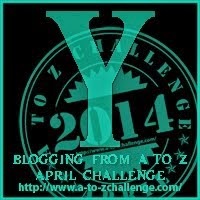 Today is my last day of blogging through the alphabet with the many others participating in the 2014 A to Z Challenge. It has been fun and, as the name implies, challenging. We’ve blogged daily–except for Sunday. I’m glad the end has come but I’m sad too. I always enjoy putting my thoughts down with no pre-planning. Something about spontaneous writing the morning of, proves to me that I CAN write every day. I need to make myself do it. Today is Z day and I’ve chosen Zero for absolutely Zero words toward fiction writing. Ever since we started thinking about renovation, I’ve been unable to worm any creativity out of my mind toward my novels. Okay, I did write a 700 word mini-mystery, and I have met my NF deadlines. I guess that counts. But the novels are on the hard drive, exactly the way they were when we moved back home from Oklahoma last August. That’s embarrassing. And pathetic! Time marches on. Hair gets grayer. Mind gets slower. Fingers become more arthritic. Zero sounds like such a nothing state of mind. 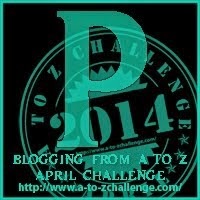 I’ve decided to pretend this A to Z Challenge is never-ending, and write at least 500 words a day on a new project. (Once I start, I can write for hours so maybe more than 500?) New projects are exciting. They energize us, don’t they? Once they’re embedded in our mind, they’re all we think about. Plotting, planning, naming characters, working out the conflict. Keep your fingers cross for me. Down with Zero productivity–for all of us! Tell me what you plan to do now that you aren’t A to Z-ing any more. Rest? Dive into a new project? Finish an old one? Share with us. 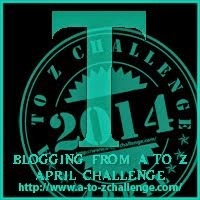 The A to Z Challenge is the brainchild of Arlee Bird at Tossing it Out. Every year there are hundreds and hundreds of participants. This year 2018 bloggers signed up. There’s some mighty good reading on these blogs. Check them out! 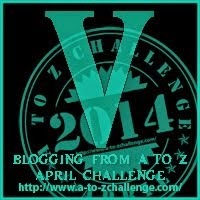 I’ve been blogging through the alphabet with the many others participating in the 2014 A to Z Challenge. We’ve blogged daily–except for Sunday. 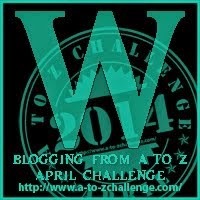 As much as I love the A to Z Challenge, and look forward to it every year, I’m always glad when we reach the end. Tomorrow will be Z day, and then a wrap-up on Thursday. 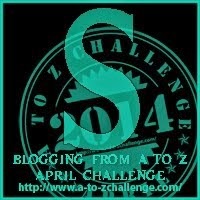 The A to Z Challenge is the brilliant brainchild of Arlee Bird at Tossing it Out. I wish I’d thought of it, though I’m sure I couldn’t have accomplished what Arlee has accomplished. I think we must all look forward to this wondrous event; it’s almost like a family or class reunion, or an Easter egg hunt where we reunite each year and play catch-up, and make new friends. I’d like to encourage you to visit all the various bloggers and their sites for entertaining, informative posts. 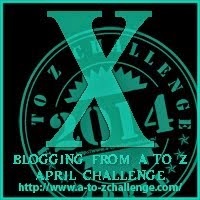 I’m amazed at the many talented people who participate in the A to Z Challenge. Today is Y day and the first thing that popped into my mind was Yada Yada Yada. I’ve never liked that phrase, because I immediately wonder, what is the yada yada yada? What am I missing? I became aware of Yada Yada Yada from a Seinfeld episode. But the phrase was used way before that in a Magnum PI episode, as well as a Cheers episode, and Buffy the Vampire Slayer. The Seinfeld made it memorable. According to several online dictionaries, Yada Yada Yada is nothing more than empty, boring talk. We face that every day, don’t we? Like when the woman from church shares every single thing she did during the week, including tidbits about the estranged cousins who came to visit. She calls them by name in her friendly, lyrical voice, as if we know them. I’m never sure how to respond to this kind of dialogue so I oooh and aaaah and make funny expressions in sympathy or encouragement. If we’re not careful, we can write empty, boring dialogue like this in our short stories or novels. Dialogue that offers nothing to our readers and doesn’t move our story along. We may as well just write Yada Yada Yada. But then I wonder, isn’t Yada Yada Yada in the eye (or ear) of the beholder? Maybe it’s only boring to those who have a touch of impatience, or don’t enjoy dialogue, or want the story to zip along at a good pace. Sometimes, I guess. I can tell when a contest judge speed reads my entry. She misses important details and asks about them in her comments. Maybe she doesn’t like dialogue so goes straight to the narrative. Or maybe my dialogue really is Yada Yada Yada. Rambling dialogue is a killer in a book or story. Small talk shouldn’t happen. We’ve been told to write the way we talk, but we all know that can be a killer too. We stop, start, loose our train of thought. Yada Yada Yada! Dialogue should have a purpose: reveal character, personality, build toward the conflict, the goal. Rather than reiterate here Yada Yada Yada, check out this great piece on writing dialogue. It’s a keeper. And by the way, research shows that the word Yada is a Hebrew word that means “to know” so take a look and learn what yada really means. The letter X always brings two phrases to my mind: X marks the spot and X Factor. X Factor is what I’ve chosen for today because of its importance in our writing. X factor is an unknown quality that only becomes known after following a prescribed process. Doesn’t that sound a little like writing? We outline our novels, follow guidelines, obey the rules, but honestly, we don’t know if our books work until after we finish and sit down for a read through. Or get that first critique or rejection. X Factor comes from the world of math, of course, but it extends to the business world too, as well as the entertainment world. Interviewers, judges, and I dare say, editors and agents consider that unknown, vital quality when they read over our manuscripts, judge a competition; there’s something extra, something that pops that gets their attention. Something they can’t quite put their finger on. When an editor takes five manuscripts home with her, how many of the five will truly grab her? The X factor will make the difference. It might be a fantastic sense of setting, characters that walk off the page, an interweaving of plot that amazes, or an unique voice. We’re all aware of the “it” factor–translate X factor. We search for it ourselves when we’re looking for a good book to read or movie to watch or a special dress to wear. When we started renovating our house, I came across the term, X stretchers. I’d never heard that phrase before but it’s defined as flat or curved supports forming an X shape used to connect and reinforce furniture legs. It can also be used in décor–X on glass cabinet doors, ornate knobs or other carved ornamentation. But it offers support. It occurred to me that these X stretchers are like the different aspects of our novels that do and should support each other. Like our setting can become a character and support the mystery. Dialogue supports our characters. It makes them real or it can make them flat. Dialogue is supposed to move the story forward. Sometimes the dialogue can kill the story for the reader and they throw the book across the room. To achieve the X Factor, we have to pay close attention to every sentence we write. Watch those passive verbs–make them active. Sentences should sing. Our setting needs to live. Is our rising action really rising? Are the characters in our stories alive to the reader? Not just a few readers, but many readers–ALL readers. Yeah, I know it’s impossible to please everyone but we do need to try. Striving for that X Factor just might help us attain best-seller status. At the very least, some excellent reviews. I want the X Factor! Do you? How do we go about getting it? Share your thoughts. W is for all kinds of Wonderful Words but especially, in my mind, the Women’s Fiction Writers Association. WFWA is about a year old and run by volunteers. I think a few writers of women’s fiction left Romance Writers of America when a shift of focus left many of them out in the cold. I’m so glad to see an organization specifically for women’s fiction. Remember the book I’m working on where the heroine lies … it’s women’s fiction. WFWA has this description on its website: An inclusive organization of writers who create stories about a woman’s emotional journey. My book is definitely about a woman’s emotional journey! I feel like jumping up and down and yelling, I have a home! I have a home! It’s called WFWA. These men and women (yes, men!) are career focused when it comes to networking, education and continuing support in career growth. I hope you’ll visit our website, https://womensfictionwriters.org/ and if you decide to join, the dues are $48.00 a year, and worth every penny. The website has Wonderful resources and the community has Wonderful discussions. I’ve enjoyed having authors of women’s fiction at my fingertips–all in one spot–where I can ask questions and get answers. I believe when you visit their website, you’ll be able to click on a directory to see published WF authors. Check it out and see the important and best selling names listed there. If you decide to join Women’s Fiction Writers Association, don’t forget to ‘friend’ me and let met know you’re there. As a member you’ll get the bimonthly Write On, our eZine. I’m the volunteer highlights editor. Also, our members receive a weekly Industry Update. We have classes–many of them free–and a contest for our members entitled, Rising Star. Next year we’ll hold our first writer’s retreat in San Antonio, Texas! I’m so excited about this group. Please, check it out! Go to https://womensfictionwriters.org/. If you have any questions, just ask me and I’ll get the answers for you. Vittles. Say it aloud. Vittles. My grandmother used to tell us to eat our vittles. It sounds like an old word, doesn’t it? According to Merriam-Webster it means food and drink. Another online dictionary states it originated between 1805 and 1815. I like the memories it brings forth of my little granny churning butter, wearing her bonnet as she poked around in her garden, setting her dining room table with her home-grown food and fried chicken (back then I wasn’t a vegetarian!) but especially her wonderful egg-custard pie. The word Vittles makes me want to write a historical. I’ve jotted down ideas but the research flat-out scares me. I’ve read all about writing a historical novel and taken a couple of courses on research. I guess I need to just sit and write the story, then go back and analyze each word to make sure of its origin. Some of my friends emphasize the importance of getting the facts just right. And that’s true. I heard a writer speak once and challenged by someone in the audience because she’d made a mistake in her research. Seems she had a flower growing in Louisiana that didn’t grow in the state. My thought was … who cares? But readers of historical fiction want everything factual. I’ve read reviews that berated authors for trite mistakes. These are the kinds of things that make me freeze (or block me) when I think about writing a historical. Choosing a time period that intrigues me is what I’m supposed to do first. Unfortunately, it’s not the time period that intrigues me, it’s something that actually happened that intrigues me. I want to use a specific disaster/tragedy as the backdrop for my story. Is there a difference? I think so. I’m not too keen on investing as much time researching the era/locale as it takes to write the story. And paying attention to the clothing, household items, furniture and architectural design is frightening. Not to mention finding at least three sources for my historical data. I read a romance recently that took place during the 40s. I felt as if the author pounded me on the head on every page with the differences between then and now. I didn’t enjoy it very much. Isn’t it crazy that I got all this out of the word Vittles? Funny how certain words conjure up thoughts and images. I really do want to write a historical. I used to love to read them. Do you have any tips for me? Suggestions? Get me started! How important is it for us to Understand our characters? To know when they were born, what kind of grades they made in school, if they were troublemakers, pranksters or popular with their schoolmates? As their creators, to what extent should we know them? I’ve read books that had such well-rounded characters that I’ve wondered if they were real friends of the author and she just slapped them on paper, the way she knew them. Other authors are as challenged with character creation as I am. Of course, sometimes I think I’ve done a good job but an editor or critique partner will yell, “More, more! You need more …” And I wonder how many “layers” I have to add to make these fictional people real. The answer is several layers. I need to address and Understand their psychological, emotional and physical make-ups. I need to evaluate Understand their motivations, their relationships, their needs. And so much more. Do you fill out character sheets for each character? I usually let each character write me a letter or essay (stream of consciousness) telling me all about their lives. I may not use all that info, but I enjoy getting to know them. I have a character in one of my books that is too perfect. All my critiques, editors, contest judges commented on her being way too good and perfect. It took me awhile to realize she was supposed to be perfect, that’s part of the problem. Remember that student in your class that was the golden girl/guy? Everything good happened to them? Teachers loved them, they got most likely to succeed or most popular? Those people exist! But how do we write them to make them real, and likable? I’m still struggling with this character. She’s made one bad mistake in her life that haunts her, but it’s not until the end of the book that she’s slapped in the face with it. I have no idea if this book (or her character) works. Some of my friends use Abraham Maslow’s Hierarchy of Needs when working out their characters. 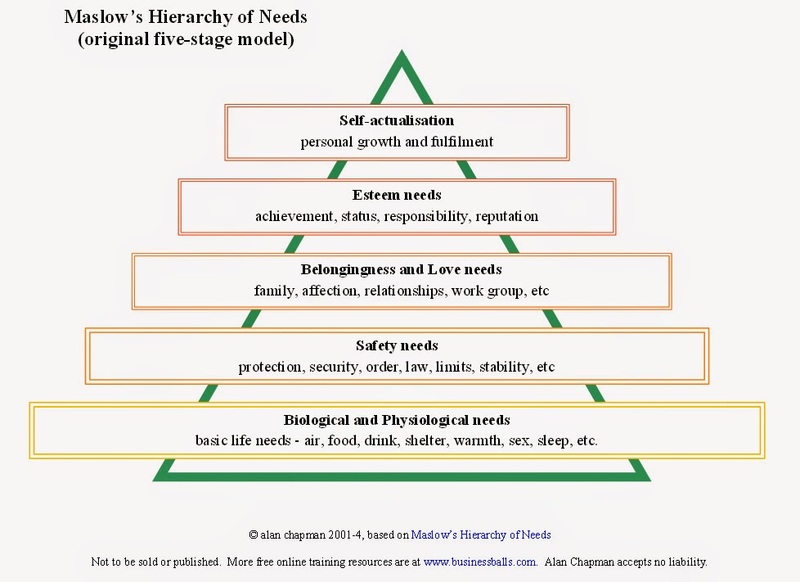 Maslow explains how we’re motivated by our needs and our most basic needs are inborn. We must satisfy each need, starting with the first, which deals with survival. When those lower needs of physical and emotional well-being are satisfied, we move on to the higher order of influence and personal development. Do you always Understand your characters or do you give them free rein? How do you create well-rounded, real characters? Where do you start? With character charts, their basic problem, the story itself? Share your characterization secrets! Today I’m blogging about Submissions. I haven’t submitted anything to publishers or agents lately. Writing has been minimal because of wedding plans and home renovations. 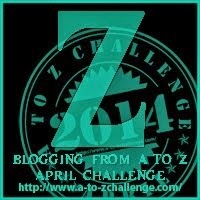 I’ve barely been online except for this A to Z Challenge. I love it, so it has my undivided attention–when it comes to posting. Unfortunately, I haven’t been able to visit a lot of other blogs every day. Some days, I can visit up to eight or ten, but yesterday–nothing. A few weeks ago I got frustrated and killed myself in a short mystery. When I say I killed myself, I mean I had someone else (a fictional character) kill me. It was fun to write and geared toward Woman’s World Magazine. That’s the colorful tabloid that’s on the racks at grocery store check-outs. They publish one romance and one mystery in each issue. Remember I told you my friend Janie had a mystery accepted and published last month. These short stories are only 700 words. Tricky. Every word must count. I’m not certain I was very successful. We’ll know soon, because that’s my one and only Submission, other than my assigned article to Southern Writers Magazine. Oh, and by the way, Woman’s World Magazine requires the traditional stick-it-in-an-envelope-with- an-SASE. Feels strange to do it that way, but when I get it back, I’ll know they’ve read it. Have you submitted anything in the past month or two? If not, take a look at the markets below. You might have something that fits. If you have submitted, share what you have out and how long you’ve been waiting for a response. Or share the last thing you submitted and got accepted. Good luck with the markets below. They’re good ones! I’m blogging through the alphabet. There are many others participating in the 2014 A to Z Challenge too, which is the brainchild of Arlee Bird at Tossing it Out. We post every day in April except Sundays. I hope everyone had a wonderful Easter weekend. My weekend wasn’t long enough. I’ve struggled to come up with an R word. I thought about it all weekend. I played around with the word Rewrite but since I’m not doing any rewriting, I figured my words might sound forced. Renovation certainly plays a huge part in my life right now, but I’ll save that discussion for another day, with before and after pictures. I thought about doing a Review of a book I just read but felt no passion for that either. When I finally crawled into bed with nothing to show for R, the word RESPOND flashed into my mind. It felt right. I have a pet peeve. I absolutely detest getting NO RESPONSE from people I send gifts to, or articles or manuscripts. In this day of email, an acknowledgement is a breath away. There’s no need for someone to totally disregard a stack of new towels, some mixing bowls, a hundred dollar bill or 200 pages of my heart and soul. What are they thinking? Or are they thinking? Of course, I always hear “the parents didn’t teach them to write thank you notes… or be responsible… or care… or work, or love… or RESPOND.” And to that I say, I’m so tired of everything being blamed on parents. Yeah, yeah, I know it’s true to a certain extent but at some point these young adults have to take responsibility for their own actions. As for not acknowledging a manuscript, sometimes a paragraph stating If you have not heard from us within three months, you can submit elsewhere is included in the submission guidelines, but that’s just a CYA kind of thing. I think it’s a terrible policy. It gives them free rein with the delete button. I remember always sticking self-addressed, stamped envelopes (SASE) in with my manuscripts. Those were the good old days. Doing so almost always guaranteed a response. At the very least, there was a certain amount of responsibility on the part of the editor/agent/office manager to acknowledge our stamp. I miss those days. Email makes everything so much easier: easy to delete. easy to ignore. easy to say we never got it. But hey, just as easy to respond! Writers everywhere deserve a response regarding that novel they slaved over, the article for which they interviewed three professionals, the query letter. Aunts, sisters, moms, cousins and friends deserve a response to the gift they spent time choosing and mailing. So much for sharing in the joy, huh? I realize I probably sound like my mother (and I’ve always fought that!) but I accept it now. I don’t accept rudeness and inconsiderate behavior. I don’t accept being ignored. Do you send thank you notes? Are you an editor or agent who prefers not to respond? How do you feel when you don’t get a response and why do you feel that way? 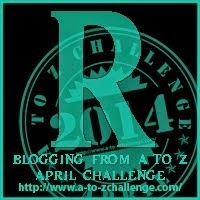 I’m blogging my way through the alphabet with many others participating in the 2014 A to Z Challenge. 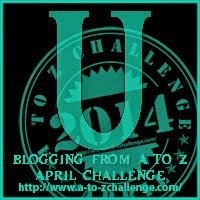 The A to Z Challenge is the brainchild of Arlee Bird at Tossing it Out. We post every day in April except Sundays. P is for Pinterest. What it is it? What does it do? How and what’s the point. Here’s an article that will answer those questions and tell you why you’ll become addicted. And believe me, addicted is the correct word. I believe my daughter has planned her entire wedding by searching Pinterest. We’ve figured out our table centerpieces (three books tied with twine), our literary couples–the happy ones! Yes, it’s a literary wedding. The groom has selected his groom’s table–pies, pies and more pies! Pinterest can “help” you do anything. While looking for a recipe with a certain ingredient, all I have to do is put it in the search engine and I find hundreds. More importantly, Pinterest is great for writers. Authors are taking full advantage. Some have their entire books on Pinterest. They build visuals. In the old days we created graphic poster boards to inspire us, with everything that reminded us of our stories, but now, we post the hero and heroine’s homes, their jewelry, their clothing, their faces, the city they live in with its landmarks. I haven’t done it but only because I haven’t found the time. I hear it’s great promo! Other authors have writing tips. I hope you can go to this page to see what it’s all about. And here’s a good one too! So much fun! So informative. I have several Pinterest boards: Praise, Prayers and Observations is filled with quotes and a few insignificant things I fancy. My second board is Heroes and Heroines I Think of While Writing. Beautiful people. My last two boards are Someday Recipes (vegetarian) and Someday Fun Projects. You can take a look at all my boards at this link. If you have to sign in, it’s simple. Don’t worry about doing so. I’ve never received any spam or unnecessary messages from Pinterest. They do notify me when I have a new follower or someone has pinned one of my pics. You’ll have a great time creating your own writing world … or any kind of world for that matter. You can also make it private so you don’t have to share with the rest of us. Do you pin? What’s the subject of your boards? If not, why don’t you give it a try? It’s a new experience. It’s inspiring! I love it. I know you will too! If you pin, leave a link to your favorite board.